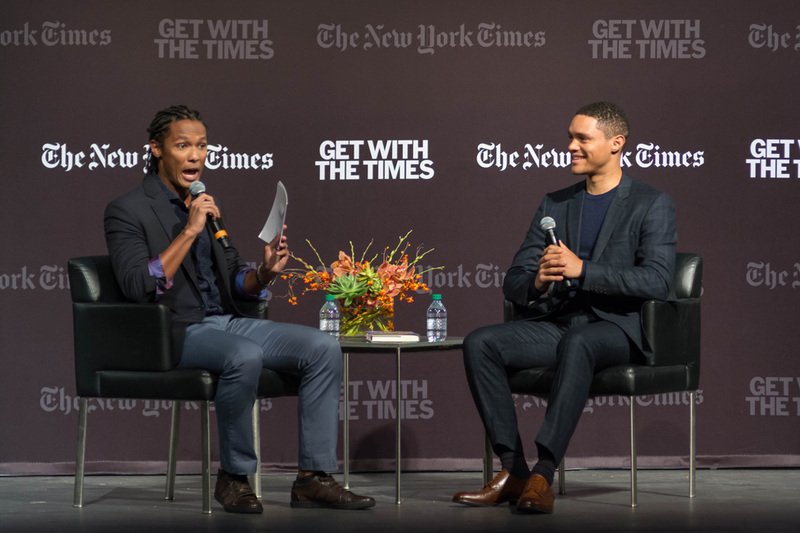 We partnered with The New York Times to host Trevor Noah, comedian and host of the “The Daily Show” on Comedy Central, on Oct. 15. View a photo recap of the event below. 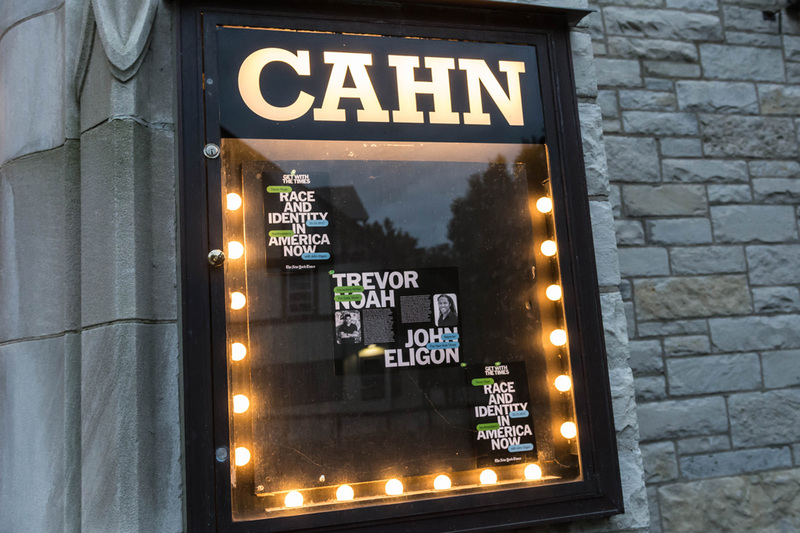 The event was held at Northwestern’s Cahn Auditorium. 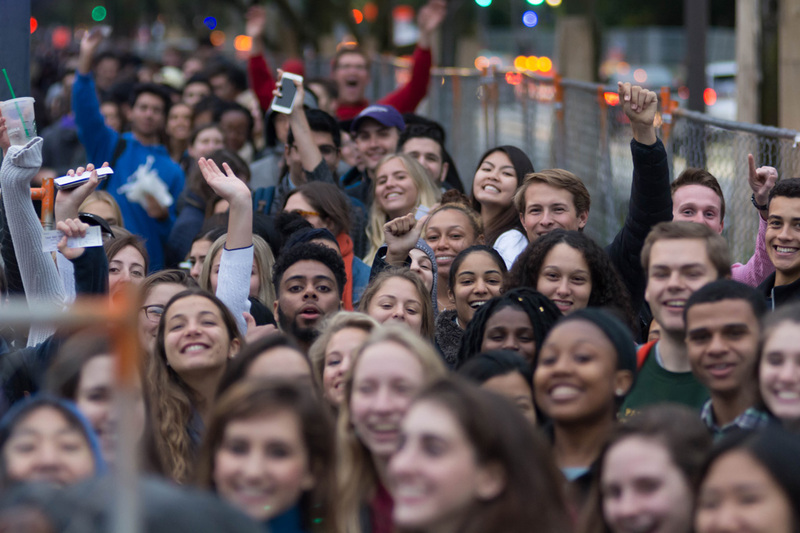 Excited students lined up to see the event. 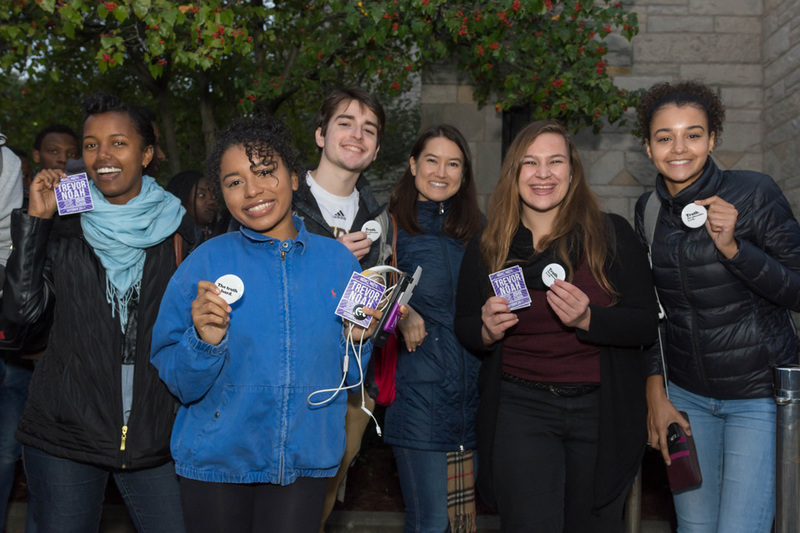 Students received stickers, buttons and other giveaway items from Medill and The New York Times. Eligon is a national correspondent for The New York Times. He is based in Kansas City and covers race. 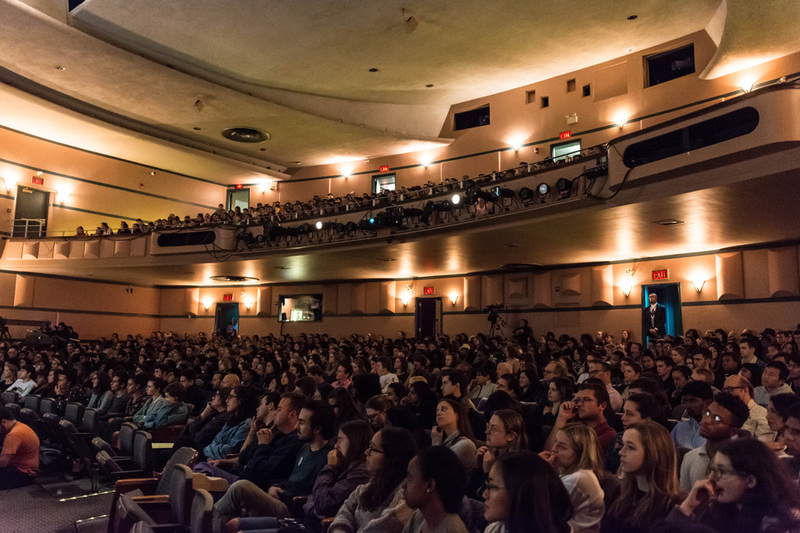 About 1,000 students attended and filled Cahn Auditorium. The event was also live-streamed to college campuses across the country. 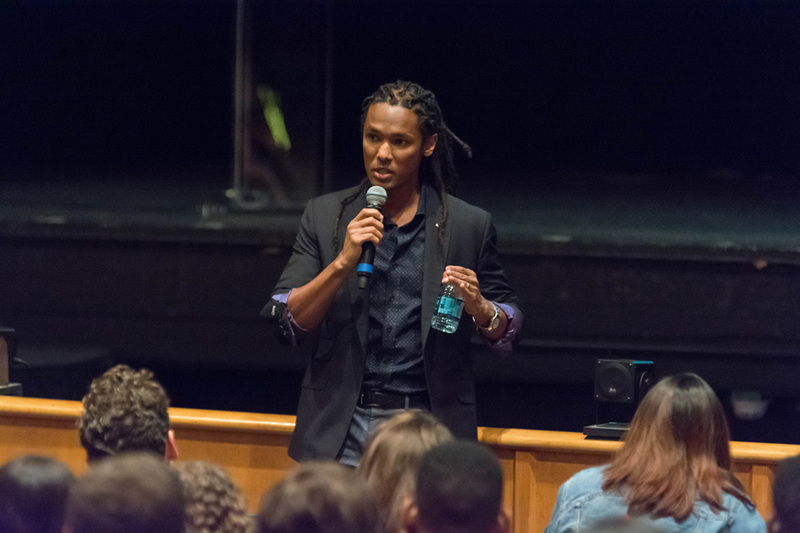 Following the event, Eligon held a Q&A session with students, most of whom were from Medill. 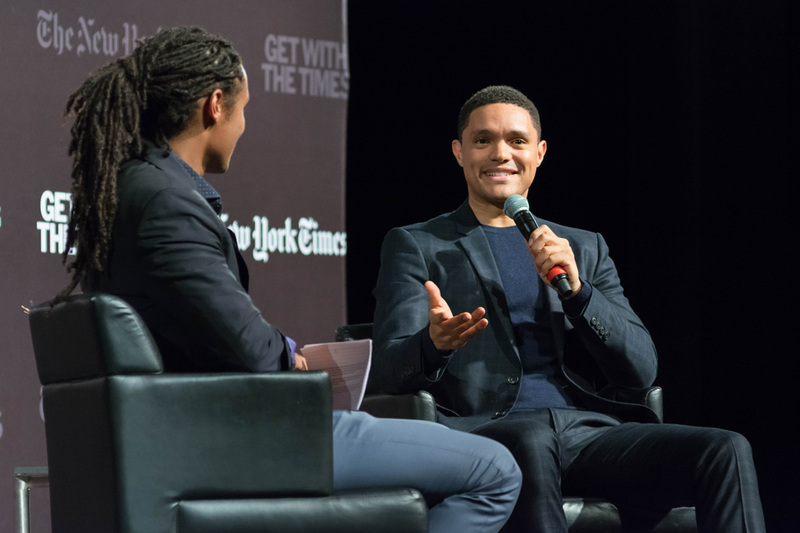 They asked questions about his interview with Trevor Noah, his job at The New York Times, and his experience as a Northwestern and Medill alumnus.